There are now FIVE weeks to “show time”. The last FIVE paintings that I sold left room for five NEW paintings to take their place for the four artist storytelling art show at Dixie College’s Sears Gallery in June. 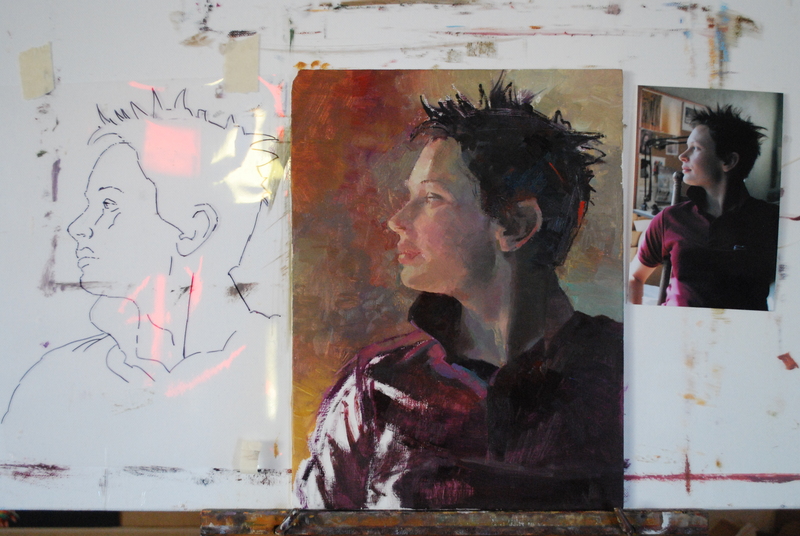 FIVE paintings x FIVE weeks = a new adventure in painting. 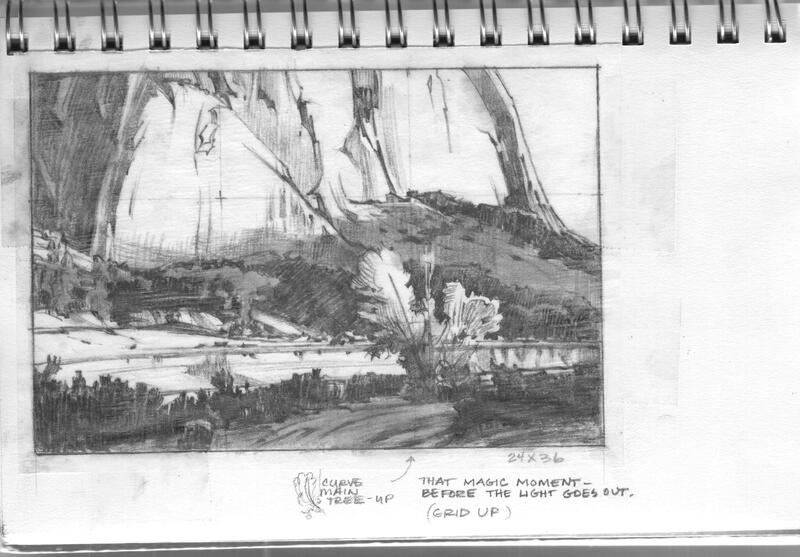 I pulled FIVE ideas out of the idea pile and began last week to prepare them for painting. 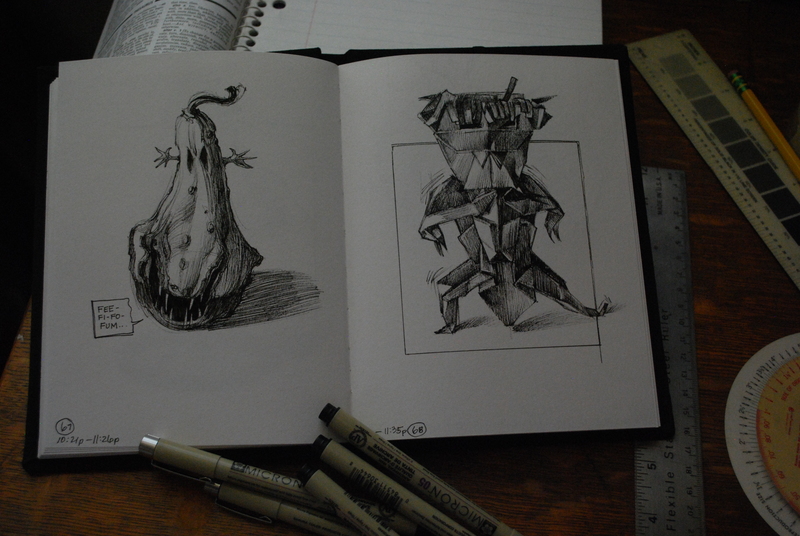 First I planned each new painting in a small drawing in my sketchbook. 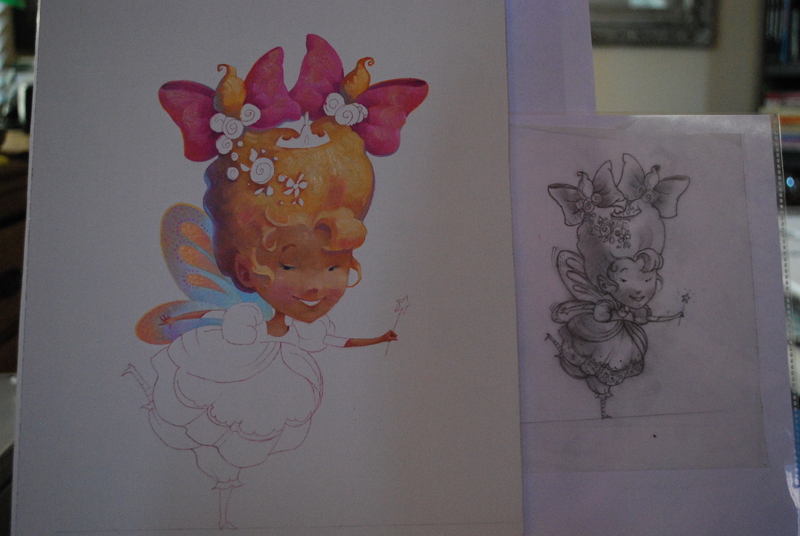 Secondly, I transferred the image to the painting surface. 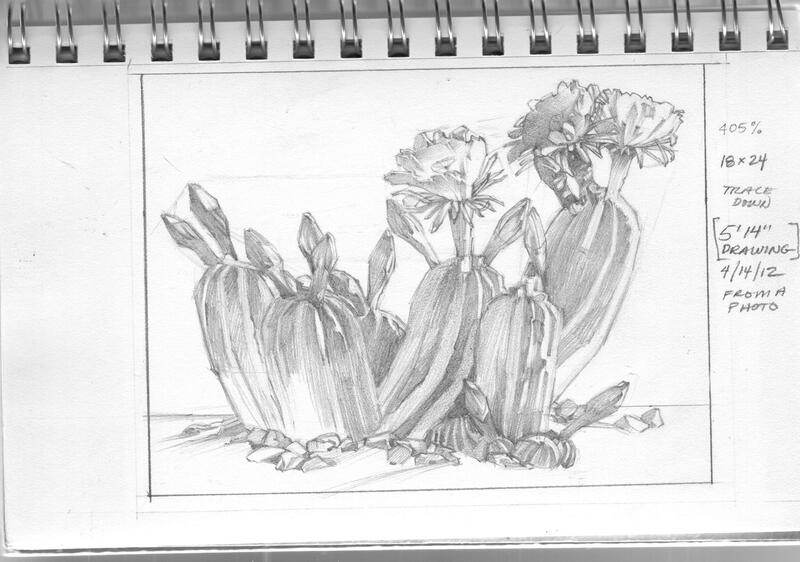 I did this by either by tracing an enlarged blueprint of my small drawing onto the paint surface or using a grid to redraw my design to size. Last night I began the painting. Yee-Haw! Of course, the quality of the painting will be the determining fac tor as to whether it makes it into the show, but, the next FIVE weeks wi ll be an “artist’s ride”! Getting a book proposal ready to send off to the publishing world. The war against fear and lethargy continues! Spent the week putting final touches on a book proposal to send out into the publishing world. 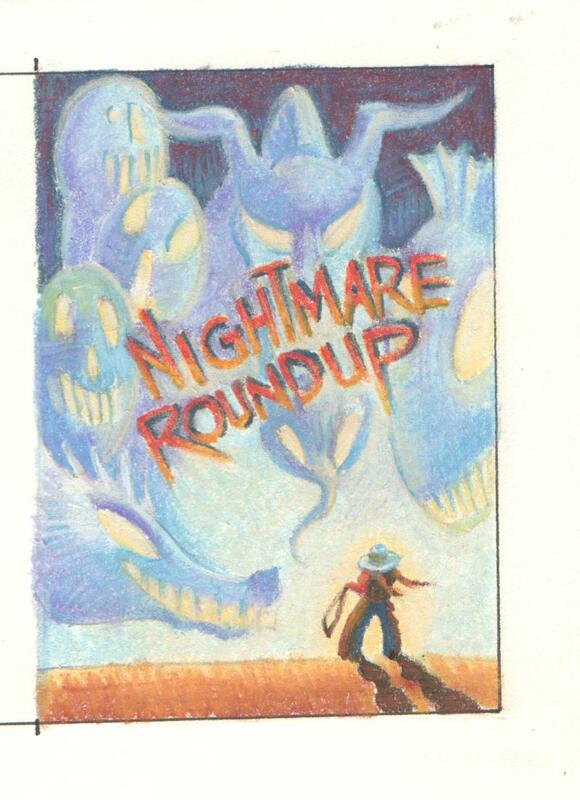 The title of the book is “Nightmare Roundup”. I’ve written the story and created small size preliminary color drawings to go along with the story. 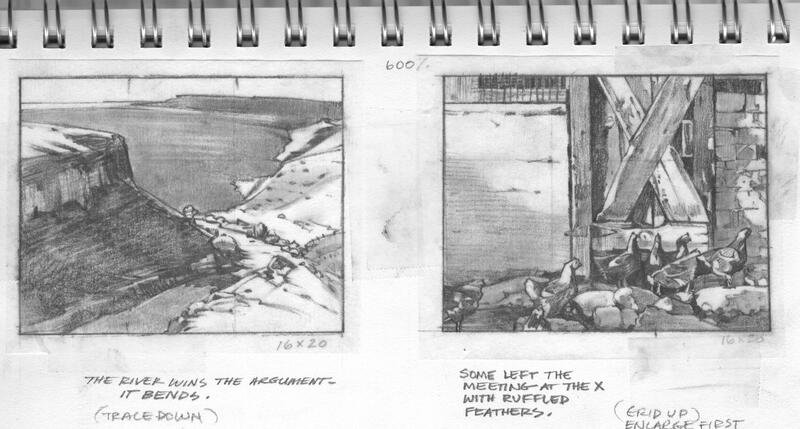 These drawings are just “roughs” to show what a finished piece of art could look like. 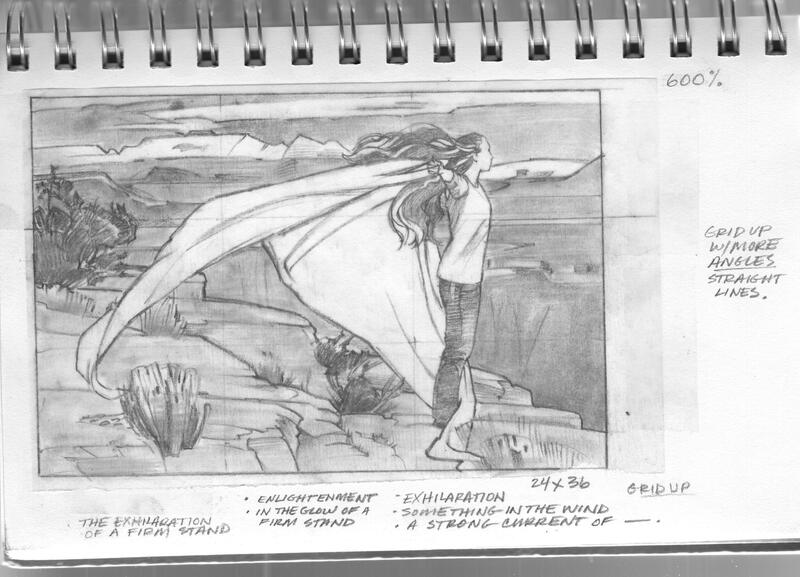 They also show the action of the story since this is going to be a picture book. Synopsis: There’s only one tough little girl that stands between us and our nightmares. It’s one of her chores. But it’s not just scary monsters she has to face-she has to face her Ma! Then there were some hours spent on the internet looking up publishers and their submission guidelines. I started with 13 publishers I listed from Caldecott winning children’s books that I have in my home library. Only 5 of them might even look at a book proposal that hasn’t come through an agent. Those 5 will only let you know if they have received your submission if they are interested in your book. And that could take months. So, when I send my stuff off into the publishing netherworld I will let it “fly my pretty” and start the next book idea right away. 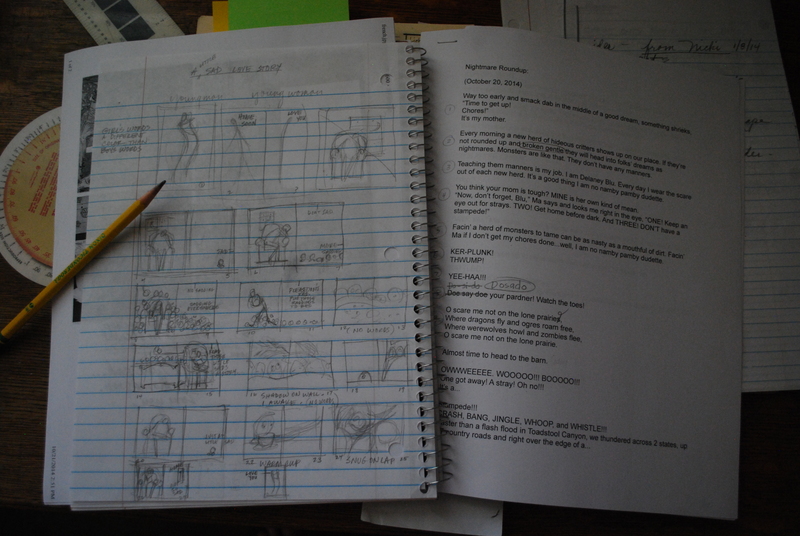 I will need at least 3 fleshed out story proposals to approach an agent with. Patience, patience, patience . . .